Somewhat related to the major area of persecution is the area of physical upheavals in this world which is associated with pain and suffering. This will become more and more frequent as we approach the Second Coming of the Lord Jesus. "You will be hearing of wars and rumors of wars. See that you are not frightened, for those things must take place, but that is not yet the end. For nation will rise against nation, and kingdom against kingdom, and in various places there will be famines and earthquakes. 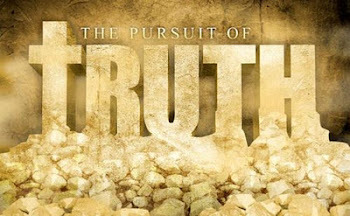 But all these things are merely the beginning of birth pangs" (Matthew 24:6-8). The phenomena of wars, earthquakes and famine are not something uncommon today; in fact, we need only to look at the newspapers each day and almost without fail, we will read about such events in various parts of the world. Civil wars and disorders in Sri Lanka, Ireland and many African states are ongoing. Famine, droughts, floods - these are happening in increasing frequency in many parts of the world and in a manner that is bizarre and unprecedented. Earthquakes are constantly in the headlines - whether it be in Taiwan, Turkey, Japan, China or Indonesia. In 1995, in one month alone, twenty earthquakes were recorded, measuring about 7 on the Richter scale, in various places. And earthquakes are still taking place in increasing frequency and intensity. Note: 500 plus earthquakes were recorded in the last 3 days alone just in California. The physical upheavals are not abating and some scientists are predicting more disasters and catastrophes coming our way, with global warming, deforestation and thinning of the ozone layer among the many problems that have to be addressed. 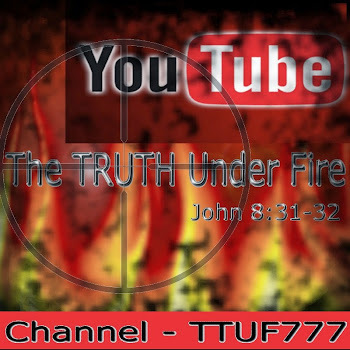 Knowing that the day of the Lord will come like a thief, in which the heavens will pass away with a roar and the elements will be destroyed with intense heat and the earth and its works will be burned up, it is therefore not surprising that physical upheavals are getting more intense and frequent. As God's children, we need to be wholesome in our attitude towards such areas. There is definitely a place to care and to pray for those undergoing suffering and pain; yet at the same time, we must not lose sight of our priorities and the consciousness of the spiritual and eternal needs and consequences. As we recognize the fact that the things of this world are passing away, let us not be caught up with pursuing them and giving our lives to achieve all these that will go up in flames. While we are to be responsible citizens, we must be careful not to end up giving our lives crusading for such issues to a point that we are no longer effective as God's ambassadors in more critical issues of life. Even in the area of lobbying for conservation of the environment, there can be spiritual dangers involved. I read of groups whose zeal for the preservation of nature borders on worshipping nature. The world is not getting any better. The Scriptures reveal that evil men and imposters will proceed from bad to worse, deceiving and being deceived. Difficult times will come in the last days and immorality, sin, corruption and all forms of evil will be on the rise. Physically, the world is going to see more upheavals and chaos, culminating in the day when the "sun will be darkened and the moon will not give its light and the stars will fall from the sky, and the powers of the heavens will be shaken" (Matthew 24:29) before the Lord comes again. Let us therefore keep our hearts and spirits on the right track and not lay up treasures on earth which finally will be burned and destroyed. During times of such physical upheavals, it is helpful to ponder over what is recorded in the Scriptures. "And He will wipe away every tear from their eyes; and there will no longer be any death; there will no longer be any mourning, or crying, or pain; the first things have passed away" (Revelation 21:4). If we persevere in faithfulness, we can truly look forward to such a day with the Lord. We see an example of such attacks in the life of Job in the Old Testament. We can remember Job encountering various painful problems in the family, in his possessions, and even in his social life and physical well-being, all as a result of attacks from the evil one. We are aware also that these attacks came about not because of any significant ground that had been given on Job's part. The Lord God had allowed these because of His confidence in Job and because of His being pleased generally with Job's life. We see therefore that spiritual attacks from the evil one can take place even in the lives of those whose general direction in life is pleasing to God. The apostle Paul himself and the other apostles also encountered such forms of attacks, directed at their personal lives and ministry, and these, as far as we know, were attacks not because of any major failure in their lives. However, the Scriptures do indicate that attacks of such nature may come about because of moral failure or spiritual ground given to the evil one. We see this being referred to in 1 Corinthians 5:1,5 and 2 Corinthians 2:10-11. The evil one is certainly looking for opportunity to take advantage of situations or areas of weaknesses in the lives of believers to launch various forms of attacks. It is with this in view that the apostle Peter urged the children of God to be vigilant and alert in 1 Peter 5:7. Like a roaring lion, the prince of this world is waiting to pounce on his victims. It becomes easier for him to operate if God's people are not conscious of spiritual warfare. Their ignorance, indifference and lack of alertness may render them more prone to being manipulated by the prince of darkness. 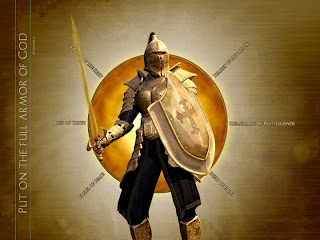 There needs therefore to be a healthy awareness of the spiritual realm and the principles of spiritual warfare and, yet, without being preoccupied with spiritual attacks. Spiritual attacks and activity of the evil one will be more pronounced in the context of the last days (see Revelation 2:10; 13:5-19; 16:13-14). There are clear indications that the activity of the evil one and his forces will increase in tempo and intensity and their objective will be to hamper or destroy the work and people of God. Also, the forces of darkness will seek to rally the people of the world and their leaders to their side. Here, let us note that in trying to do this, they will perform signs and wonders to deceive and impress even the believers. We cannot therefore allow such acts to be the basis for our differentiation between the activity of God and the activity of the evil one. Supernatural acts need not be acts of God. The devil can dress up as an angel of light. Perhaps one reason for the increased activity of the forces of darkness can be found in Revelation 12:12. 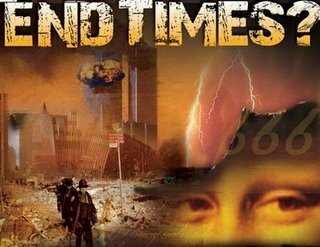 The time for the evil one is truly limited and he realizes that his time is running out. Hence, he will seek to do as much damage as he can in the remaining time he has. In the light of all these, how should God's children respond? As we encounter the attacks of the evil one in increasing pressure, let us not be discouraged, particularly if the attacks are not as a result of our own moral failure. Instead, let us take heart in the fact that because his time is limited, the evil one is desperately seeking to establish as much influence as he can and the various attacks could be an indication that we are on the right track in our lives and ministry. John 16:33 is one verse we can cling to as the basis for our confidence in the last days. Let us take courage that the Lord Jesus has indeed overcome the world. Victory has been secured by Him and victory is certain in Him if we learn to cling to Him. John 14:27 is another reassuring verse. In the midst of all the increased activity of the evil one, let us not be troubled or fearful in our hearts. Let us learn instead to rest in the Lord and to continue to experience continuous peace in our hearts. At the same time, let us pay heed to the words of the apostle Paul as we seek to do battle (see Ephesians 6:10-18). We need to be strong in the Lord as we realize who our foes are. We must learn to take up the full armor of God and be ready for battle, to resist in the evil day and stand firm in God. It is a time for us to be alert and sober. It is also a time for us to live well for the Lord, giving no room and no ground for the evil one to take opportunity to hurt us in this spiritual battle. The battle cry is to persevere and to endure. Let us fight the good fight and finish the race. "And they overcame him because of the blood of the Lamb and because of the word of their testimony, and they did not love their life even when faced with death" (Revelation 12:11). Notice the three aspects that contributed to the victory of the saints over the evil one. The first has to do with the blood of the Lamb, with what the Lord Jesus has accomplished on the cross. This is the basis of their confidence and victory. The blood of the Lamb cleanses them; it gives them the victory over sin and death such that the evil one, the accuser of the brethren, has no ground to hurt them. The other two aspects, the word of their testimony and they did not love their life even when faced with death, indicate the quality of the lives of these dear ones in the Lord. With such a stand, they were able to overcome the evil one. Although the attacks are designed to weaken and destroy, yet these very attacks are used by God to strengthen the lives of His people who manifest wholesome and commendable qualities in their lives. It therefore comes as no surprise that such ones overcome the evil one despite the increased intensity and tempo of spiritual attacks. The pressures take their toll on the weak soldier, but for the warrior, the very same pressures would mold and make him to be battle seasoned and fighting fit. Persecution, physical upheavals, spiritual attacks - all these can break and discourage the people of God - yet paradoxically, they can also serve to make and strengthen the character and quality of the lives of those who respond well. Our attitude, our responses and our choices in God would make the essential difference. Let us determine to keep the banner of the Lord flying and to endure until the Lord Jesus comes again.